(Kitco News)- October’s equity correction, the biggest drop since the 2008financial crisis, wasn’t enough to derail the Federal Reserve’s plan togradually raise interest rates. 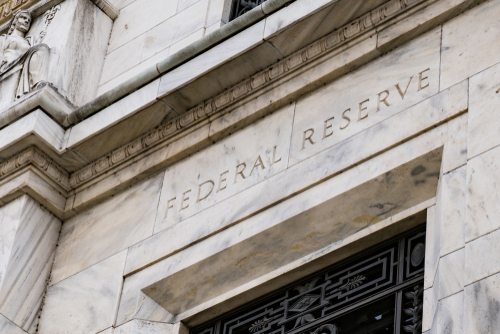 As expected, the Federal Reserve left interest ratesunchanged following Thursday’s monetary policy meeting; however, manyeconomists noted that the central bank did not mention at all October’s equitymarket selloff. 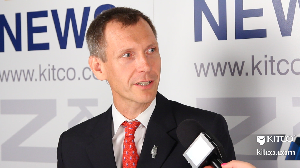 In an interview with Kitco News ahead of the monetary policydecision, Axel Merk, president and chief investment officer at Merk Investmentssaid that the scenario that would force the U.S. central bank off its gradualtightening path would be unwanted tightening in the U.S credit market. However, he added that he doesn’t see that scenariohappening any time soon as the U.S. economy still has enough momentum for atleast another year. Because of the healthy economy Merk said the FederalReserve will keep raising interest rate until it is too late. “The Federal Reserve will continue to tighten into what willultimately be a slowing economy,” he said. Although interest rates will inevitably move higher, Merksaid that investors shouldn’t completely ignore gold. He explained that theyellow metal will continue to be an attractive asset as higher interest rateslead to higher volatility and a repricing of risk assets. Another factor that will help gold, mitigating the impact ofhigher rates, are rising inflation pressures, Merk said. Although the Fed isnot concerned with inflation, noting that long-term expectations are stable,Merk said that there are signs that price pressures are creeping higher. Although Merk doesn’t see the U.S. falling into a recessionanytime soon and that the economy is strong enough to mitigate growing creditrisks in emerging markets and other economic threats, he added that now is thetime investors pay more attention to defensive assets like gold. He noted it is inevitable that credit markets tighten as theFed raises rates. Follow neils_C nchristensen@kitco.comwww.kitco.com Disclaimer: The views expressed in this article are those of the author and may not reflect those of Kitco Metals Inc. The author has made every effort to ensure accuracy of information provided; however, neither Kitco Metals Inc. nor the author can guarantee such accuracy. This article is strictly for informational purposes only. It is not a solicitation to make any exchange in commodities, securities or other financial instruments. Kitco Metals Inc. and the author of this article do not accept culpability for losses and/ or damages arising from the use of this publication.